Along with David Harbour, Oscar-winning actor Rachel Weisz are in negotiations for a key role in Scarlett Johanson-fronted "Black Widow" film. The 'Black Widow' movie is starting to take shape as it approaches its production start date in June and it's just added another cast member to its growing list. 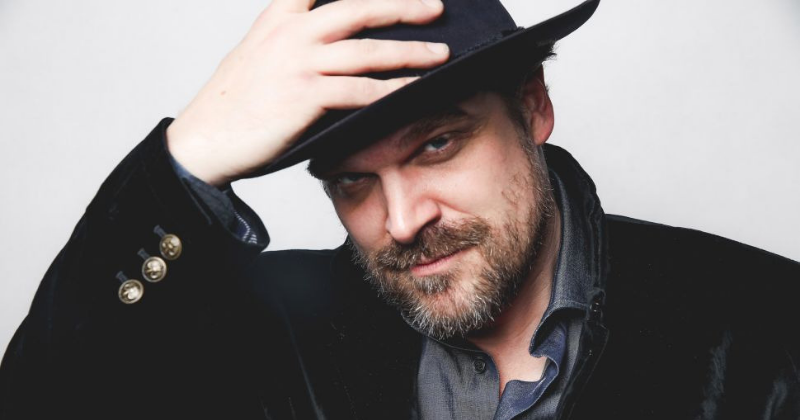 'Stranger Things' star David Harbour is the latest actor who is going to be a part of two comic book universes at once. He is already playing the titular character of Hellboy in the 'Hellboy' movie itself and now, he is in talks with the producers as he is going to be a part of the Marvel Cinematic Universe in a role that has not been disclosed as of now, reported The Hollywood Reporter. Not much has been revealed about the movie apart from the reports that suggest that the movie will take place before Natasha Romanoff's original appearance in 'Iron Man 2.' This means that the film could actually be a prequel to much of the rest of the MCU. The movie is said to take place during the early 2000s, which could be possibly the time period when the character was working as an assassin for KGB, or her early days as a spy for SHIELD. Whatever the case might be, this sounds like another chance to see Samuel L. Jackson in action as Nick Fury, as all of us really enjoyed the role of Nick Fury in 'Captain Marvel'. Cate Shortland is set to direct the movie and the script is written by Jac Schaeffer. The filming of the movie is set to begin in June. Other reports also suggested that Oscar-winning actor Rachel Weisz is a person of interest for a role in the film but currently there are no negotiations taking place as no official offer has been made. 'Black Widow' is the second female-led MCU movie after 'Captain Marvel' which is currently flying high with a global box office tally of $1,002.6M. Apart from becoming a part of MCU, Harbour is also headlining another comic book based film, taking on the title role in Lionsgate’s Hellboy reboot and it is all set to hit the theatres in April. The story of 'Hellboy' follows a demon-turned -paranormal-investigator with a whole new cast and plot. It is a completely new take on the character and counted on a close collaboration with' Hellboy' creator Mike Mignola. In the latest venture, Hellboy faces against the Blood Queen, a character from the comic book, who could spell the hero's very doom as well as a fiery armageddon for Earth. Next, Harbour will also be reprising his role as Jim Hopper in Netflix's 'Stranger Things' which will be available for streaming on July 4. Previously, Harbour has played a small role in DC's 'Suicide Squad' as well as playing a crooked politician in Seth Rogen's live-action version of 'The Green Hornet'.